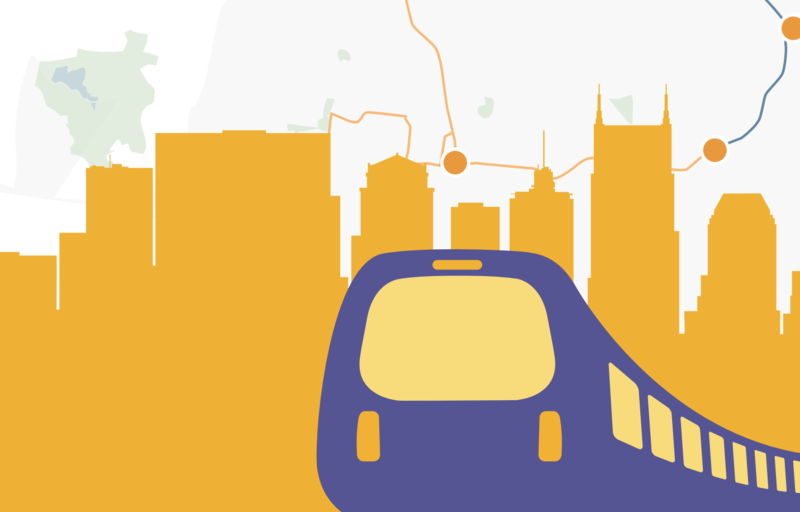 Nashville’s mass transit vote is fast-approaching. In the meantime, the Metro Transit Authority has been rolling out incremental improvements — and, so far, liking the results. Organized with matching shirts, stickers and consistent talking points, a diverse coalition turned out Tuesday night in support of Nashville Mayor Megan Barry’s mass transit proposal. As Nashville Mayor Megan Barry argues in favor of a tax increase to fund mass transit, she’s now taken a shot at critics of her plan. In a talk Monday to the Rotary Club of Nashville, the mayor called out what she considers three myths being pushed by opponents to her plan. Will Self-Driving Cars Disrupt Nashville’s New Transit Plan? It was a coincidence that couldn’t be ignored. Nashville officials were a few hours away from casting a final vote in favor of a new transportation plan — nearly two years in the making — when they entered a downtown banquet hall to hear a speech from a visiting entrepreneur last month. “By 2030, every vehicle will be electric, self-driving, and shared,” Stanford University lecturer Tony Seba said to a high-powered crowd of hundreds.